With Marvel Studios planning the launch of their very own streaming service that will go head to head with the recently launched DC Universe, it looks like they're breaking out the big guns. Numerous main characters from the current Marvel Cinematic Universe will be getting their own mini-series. Breaking this evening via Variety, it's been reported that some of the most powerful players from the current movies will be transported to the smaller screen. And the early report says that the characters will be played by the same actors that appear in the theatrical films. 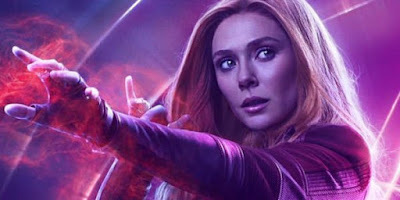 Tonight, they've claimed that Tom Hiddleston and Elizabeth Olsen will both be featured in series about Loki and Scarlet Witch with other comic book heroes/villains also getting the same treatment from Disney and Marvel Studios. The report also states that they plan on launching other event projects that will center on other legacy characters that haven't had their time in the movie world yet. Early rumblings state that each series is planned to have a 6-8 episode arc.